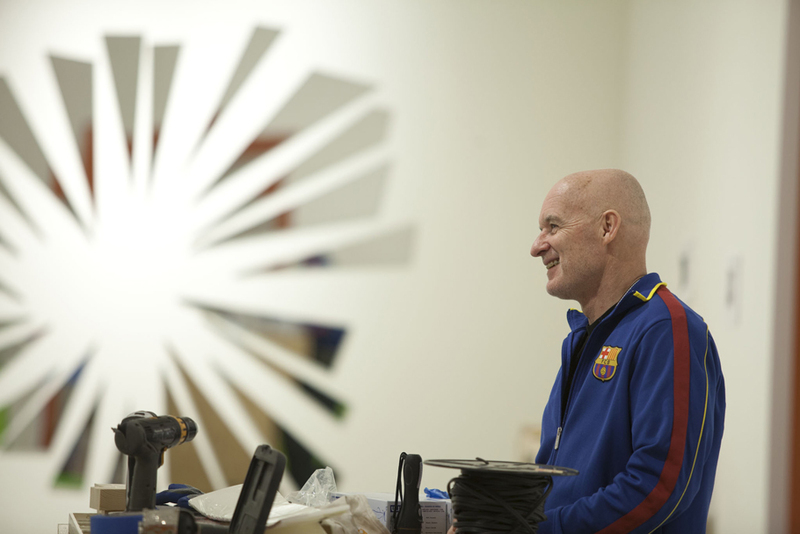 American sculptor Jim Hodges spent the past week in the galleries installing his delicate, poetic, and often colorful artworks for his mid-career retrospective, Jim Hodges: Give More Than You Take. With materials ranging from glass, mirrors, denim, silk, chains, and restaurant napkins, the exhibition—which opens Saturday—engages viewers’ every sense. Visitors get a first chance to preview the exhibition during the special Valentine’s Day After Hours. 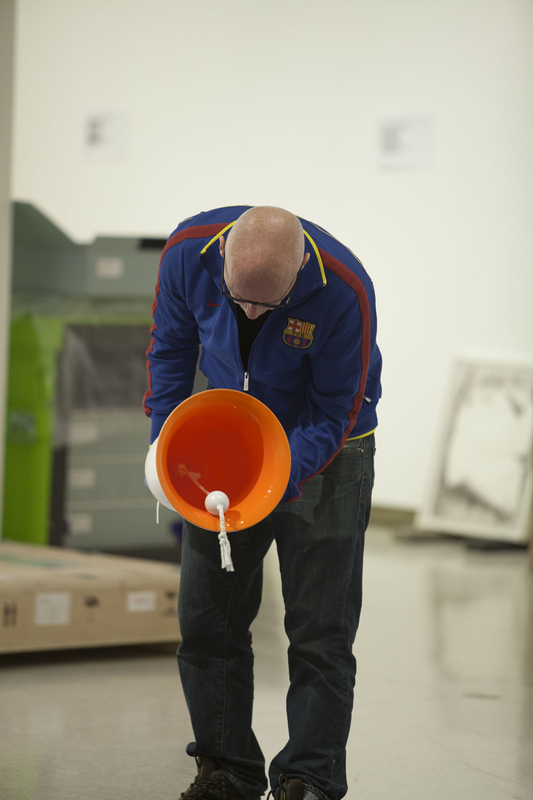 Hodges inspecting one of the blown glass bells that make up Untitled (bells), 2002. 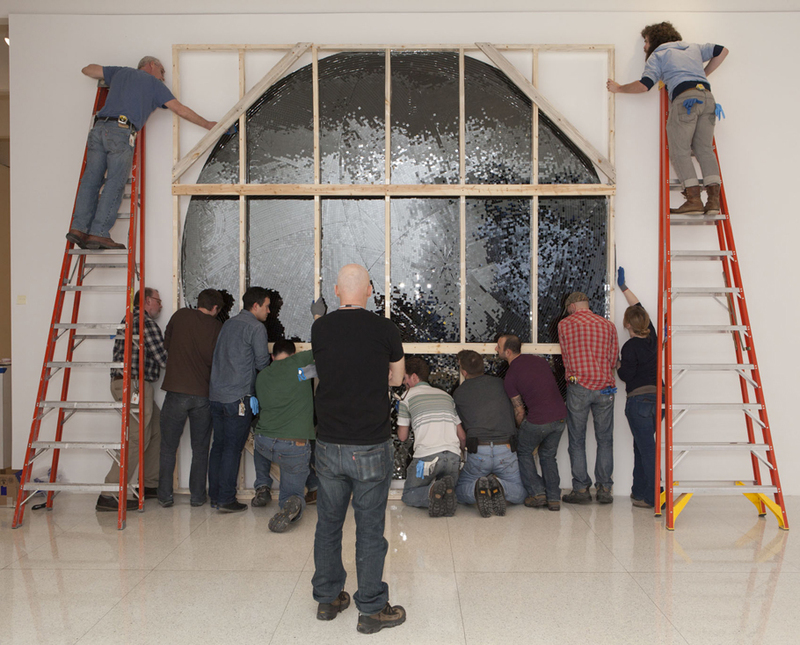 It takes many hands—and two ladders—to install this mirror mosaic piece, Untitled, 2011. 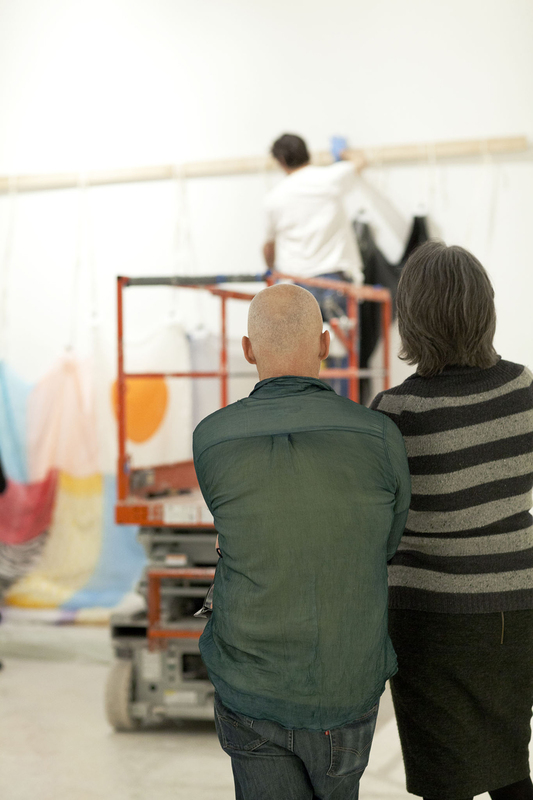 Hodges and Olga Viso, exhibition co-curator and Walker executive director, watch as Here’s where where we will stay, 1995 is lifted into place.